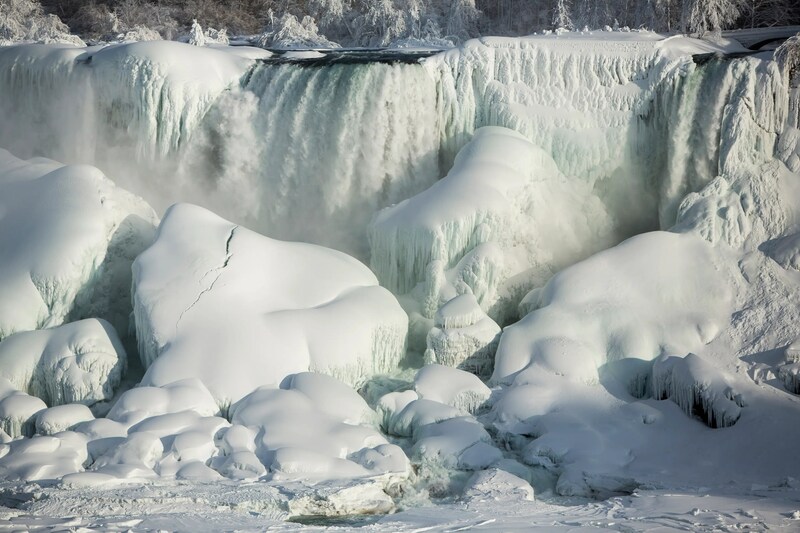 Frigid temperatures and wicked wind chills have been ravaging the northeast over the past week and the prolonged below-freezing temperatures have turned Niagara Falls into a winter wonderland.The above image shows the American side of the famous falls on Tuesday when temperatures dropped to 6 degrees Fahrenheit around the Great Lakes. 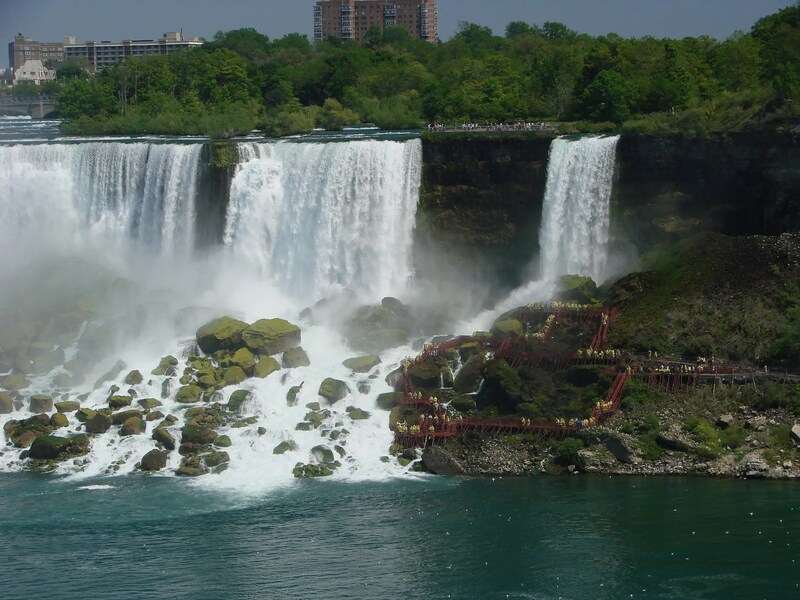 The American side of the Niagara Falls is much more likely to freeze than the more iconic shoehorn-shaped Canadian side. Still, the American side is far from frozen solid.Water is still flowing, but layers of ice sheets have built up around the water. The crazy temperatures haven’t kept tourists away. 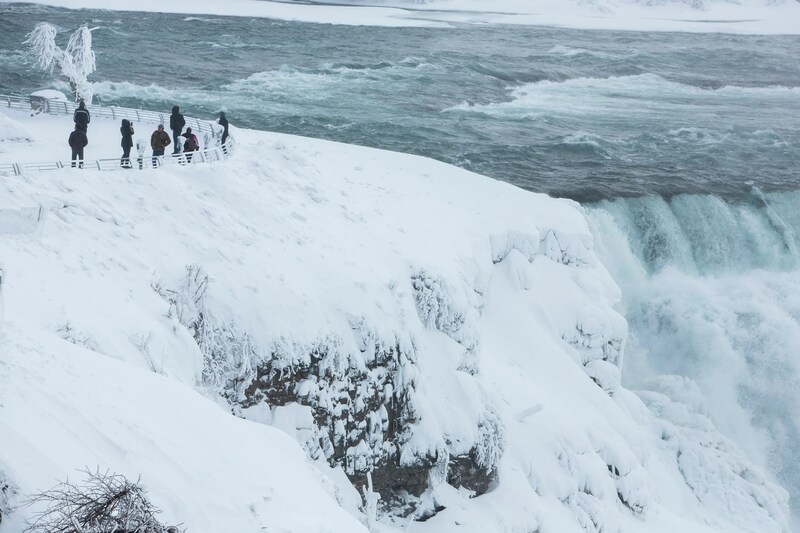 Last year when the falls partially froze, the site got more visitors than any other winter day on record, according to USA Today. Lindsay DeDario/ReutersTourists visit the frozen falls on Feb. 17. This partial freezing happens pretty often on the American side of the falls if temperatures dip below freezing for long enough. 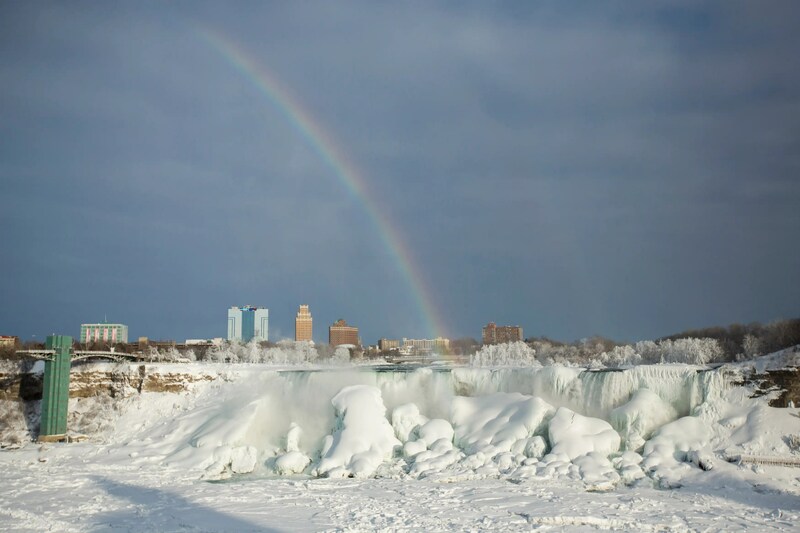 Lindsay DeDario/ReutersA rainbow appears over Niagara Falls on Feb. 17. 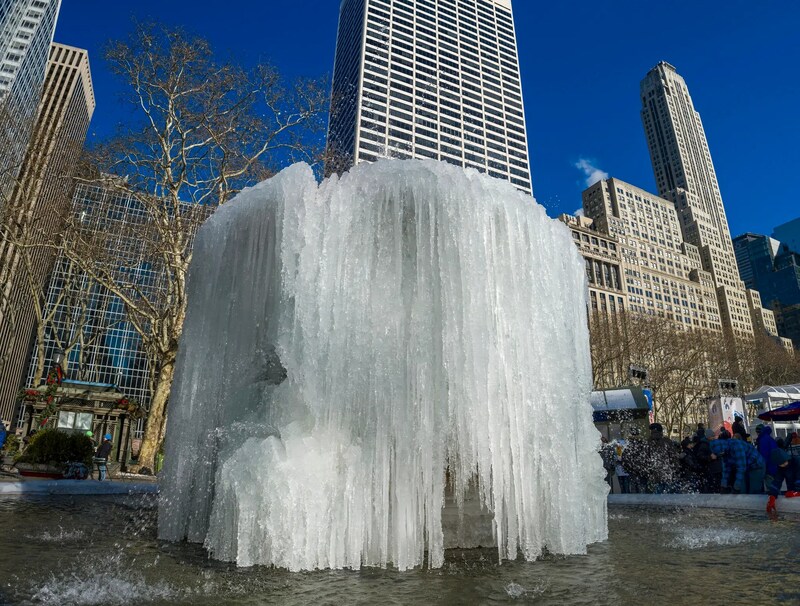 Bitter cold temperatures also froze the Bryant Park fountain in New York City. Central Park hovered around 3 degrees over President’s Day weekend — the coldest it’s been in over a decade. Flickr/Diana RobinsonThe Bryant Park fountain frozen over. The National Weather Service has issued a wind chill warning starting Wednesday night through Friday for parts of western New York.